“Subsequently, both satellites were confirmed separated, acquired and they are on orbit. SES-14 and Al Yah 3 are communicating with their respective control centres. Both missions are continuing,” the statement added. The GOLD mission aims to explore in unprecedented detail our near-space environment, which is home to astronauts, radio signals used to guide airplanes and ships, and satellites that provide communications and GPS systems. LONG-DEAD SPACECRAFT WAKES UP: In 2005, a NASA spacecraft named “IMAGE” mysteriously went silent, abruptly ending a successful mission to study Earth’s magnetosphere. Thirteen years later, it’s back. On Jan. 20, 2018, an amateur astronomer in Canada picked up radio transmissions from IMAGE, alive after all. The satellite may have been chattering away at Earth for years unheard and unnoticed. Now NASA is working to regain contact and possibly revive a key asset for space weather research and nowcasting. 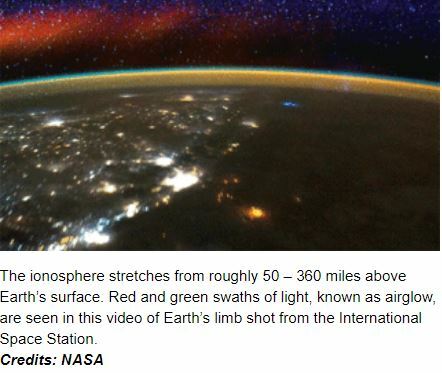 Visit today’s edition of Spaceweather.com for the full story.